The nation capital's Indira Gandhi International Airport (IGIA) has now become the world's 12th busiest airport, moving up four places from the 16th spot in 2017. 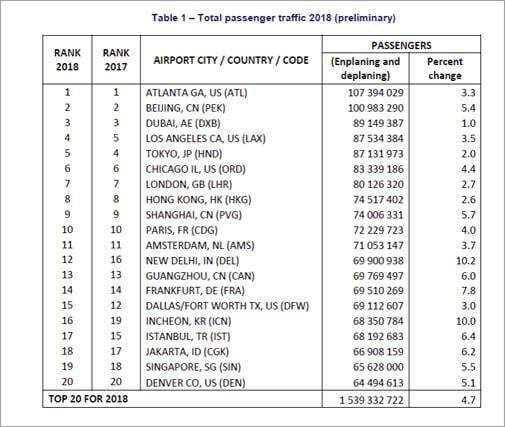 According to the preliminary world airport traffic rankings for 2018 released by the Airports Council International (ACI) , it over took mega-hubs like Frankfurt, Dallas Forth Worth, Guangzhou and Istanbul Ataturk airports. The four airports above the IGI Airport are Amsterdam Schiphol, Paris-Charles de Gaulle, Shanghai Pudong and Hong Kong, managing over 46 lakh passengers more than IGIA. "India became the world's third-largest aviation market in terms of passenger throughput, behind the US and China, in 2018. India's move towards a more liberalised aviation market and the nation's strengthening economic fundamentals have helped it become one of the fastest-growing markets with its traffic growing rapidly in a relatively short time," read a statement by ACI. The ACI's World Airport Traffic Forecasts also predicts the country will represent the third largest aviation market in terms of passenger throughput after the US and China by 2020. As per the rankings released by the ACI, the GMR-group-run airport has solidified its status as one of the fastest growing airports in the world for passenger traffic. Only Seoul's Incheon International with 10 per cent point growth was close to Delhi in terms of passenger growth. The Incheon International airport has secured the 16th place in 2018. 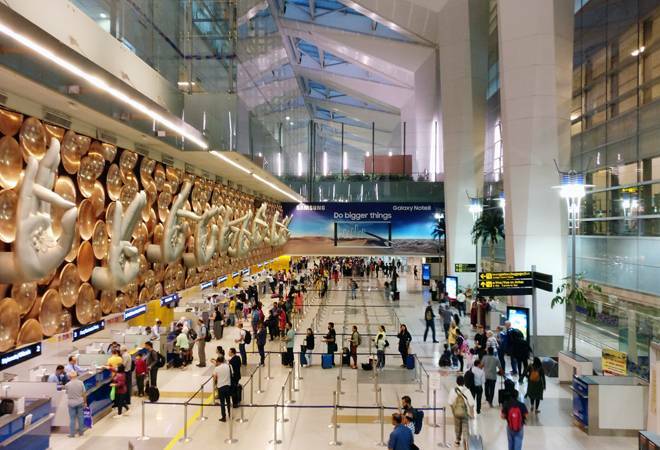 The ACI report said the IGI airport saw 6.9 crore domestic and international flyers in 2018, which is 10.2 per cent points higher than the combined passengers of 2017. Passenger traffic in advanced economies grew 5.2 per cent while in emerging economies it rose 10.3 per cent in 2017. The ACI-- Founded in 1991-- is the trade association of the world's airports, currently serving 641 members operating from 1,953 airports across 176 countries. "It is expected that rising incomes in emerging markets will help propel global traffic to new heights in the coming decades as new aviation hubs begin to overtake the more mature markets of Western Europe and North America," ACI said in a release.